Inspired by Mary Barker’s "Flower Fairies", one of Webster's favourite books, the new SS18 collection is something straight out of a fairy tale. Also, we can totally imagine disney princesses wearing the shoes of the collection to their balls. Just don't do a cinderella and loose one! We also love how slogans are kind of updated to provide something that a modern day 'fairy princess' would wear, for instance the "Chick Flix and Frills" clutch (below). This is kind of what we'd imagine the princess version of Netflix and chill to be. 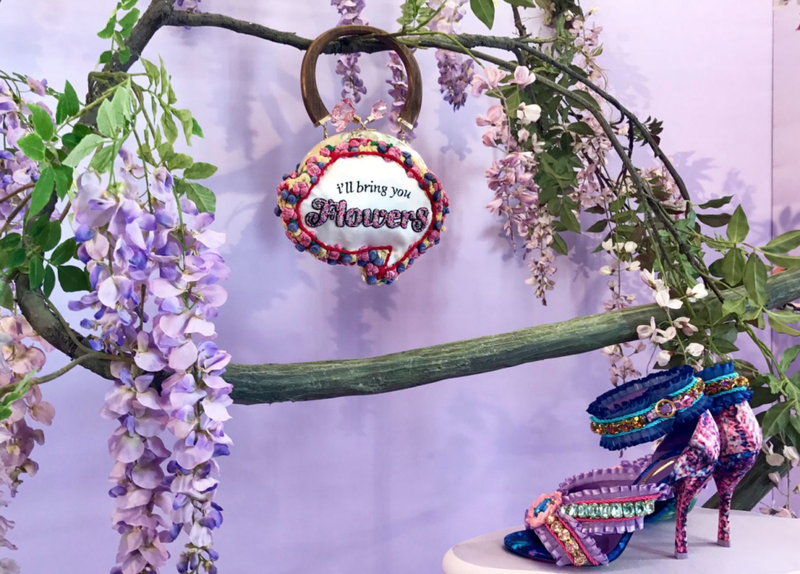 So if you are looking for some statement and fairy princess accessories, look no further than Sophia Webster. We have selected some of our favourite pieces below that are available to shop now.